Cheetos Snack Size Chips. 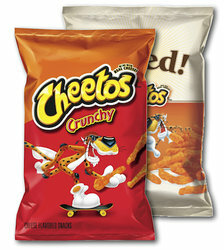 Available in regular Cheetos Crunch and Baked Cheetos Crunchy. Both are designed to be a single, snack size portion.